The .04 office swivel chair by Vitra is a design by the Belgian designer Maarten Van Severen. At first glance, the chair is not expected to offer exceptional comfort, but if you sit down, the seat shell with its numerous functions reveals its ergonomic features as extremely comfortable. Despite its angular appearance, the integral foam seat shell with an upholstery effect provides comfort which allows you to comfortably work for long periods of time at the desk. Thanks to integrated leaf springs, the backrest also allows a gentle rocker of 4 cm, which ensures relaxation and a flexible sitting posture. Movements in all directions are possible with the rubber ball fitted below the seat so that the body remains active to some extent even when seated. In addition the forearms can be placed on the armrests. Due to its modern, straightforward appearance, the .04 office swivel chair with a star base fits perfectly into any home office or institutional office without appearing stiff or too functional. The .04 swivel office chair by Vitra is available in a classic atelier version with an adjustable seat height from 42-54 cm, suitable for all conventional desks. 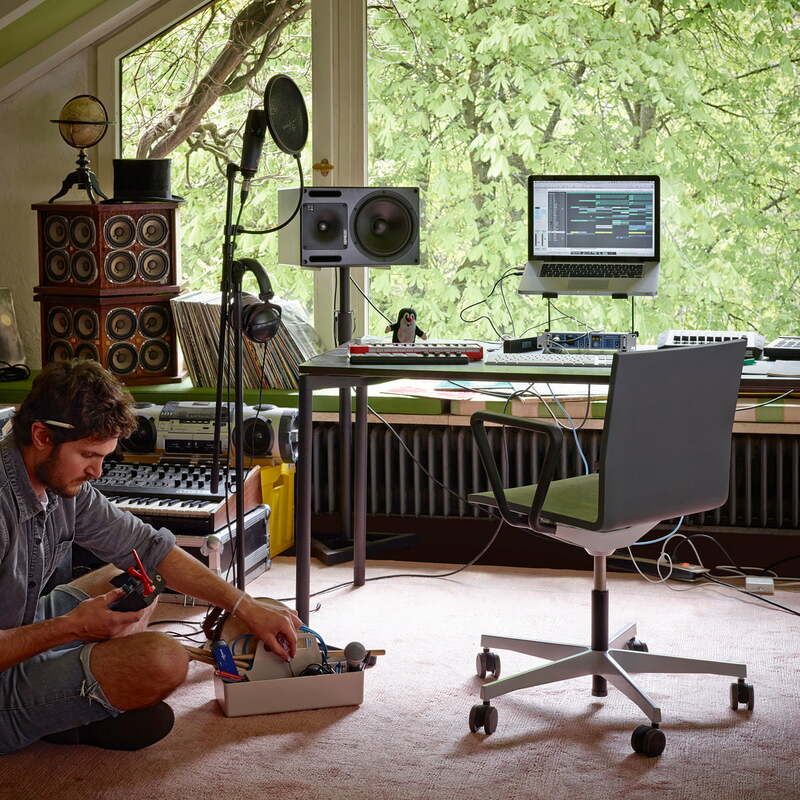 The soft braked castors of the Atelier chair are specially designed for hard floors. In addition, the counter variant also exists, specially designed to work at high tables. This version is available with a seat height height between 68 cm and 79.5 cm. The feet can be conveniently placed on the metal ring. Conversely braked rollers also prevent the counter chair from rolling away. On demand, the office chair is available in many other colours. 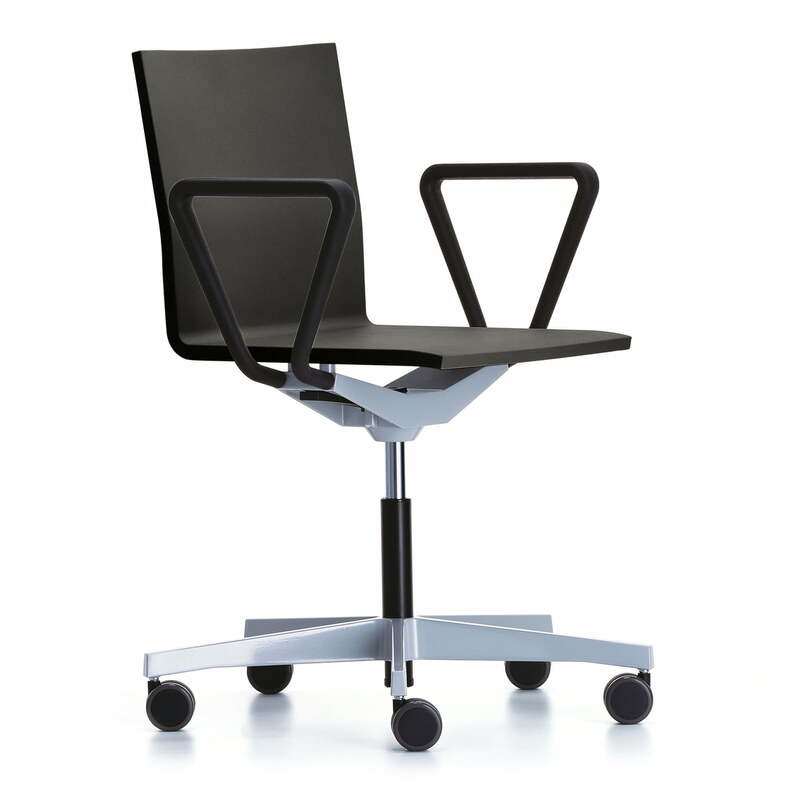 Isolated product image of the Vitra - .04 Counter Office Swivel Chair. The .04 swivel office chair by Vitra is available in a classic atelier version with adjustable seat height from 42-54 cm, suitable for all common desks. 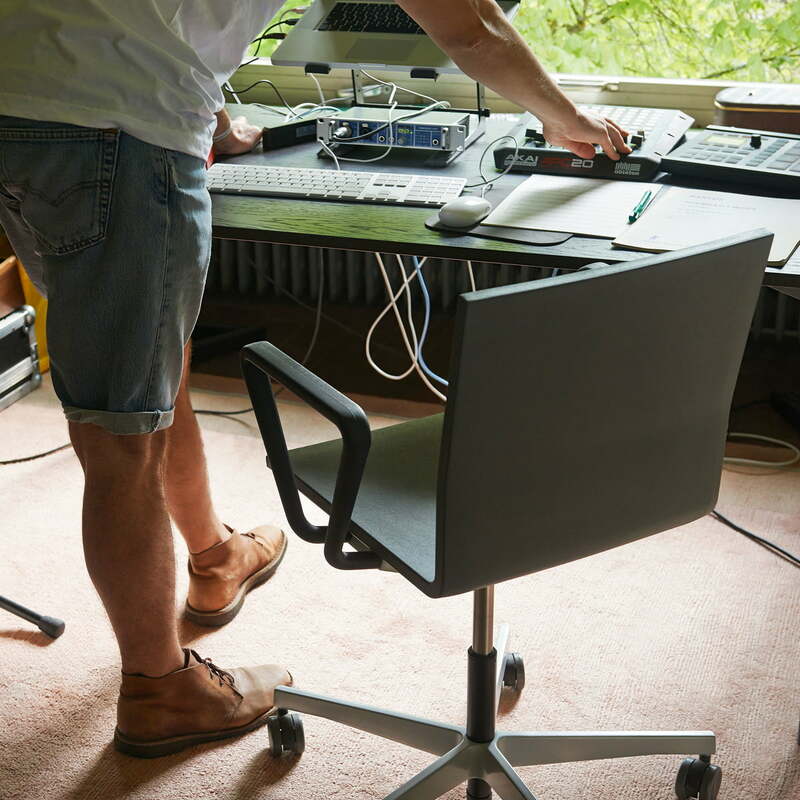 The soft braked castors of the Atelier chair are specially designed for hard floors. 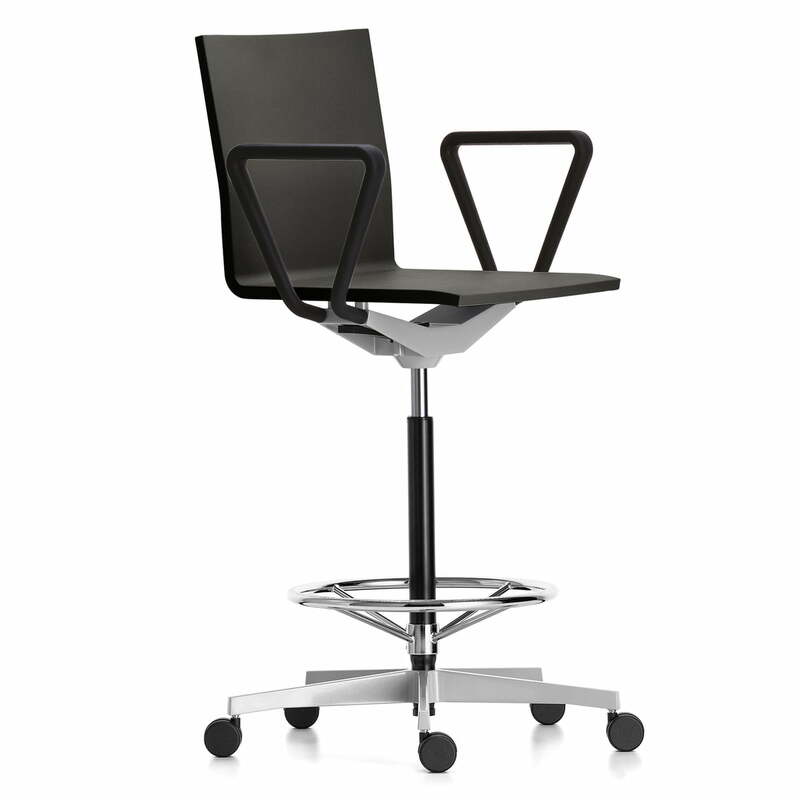 Isolated product image of the Vitra - .04 Counter Office Swivel Chair. There is also an office chair in a counter variant, which was specially designed for working on high tables. This version is available with a seat height height between 68 cm and 79.5 cm. The feet can be conveniently placed on the metal support at the appropriate height. 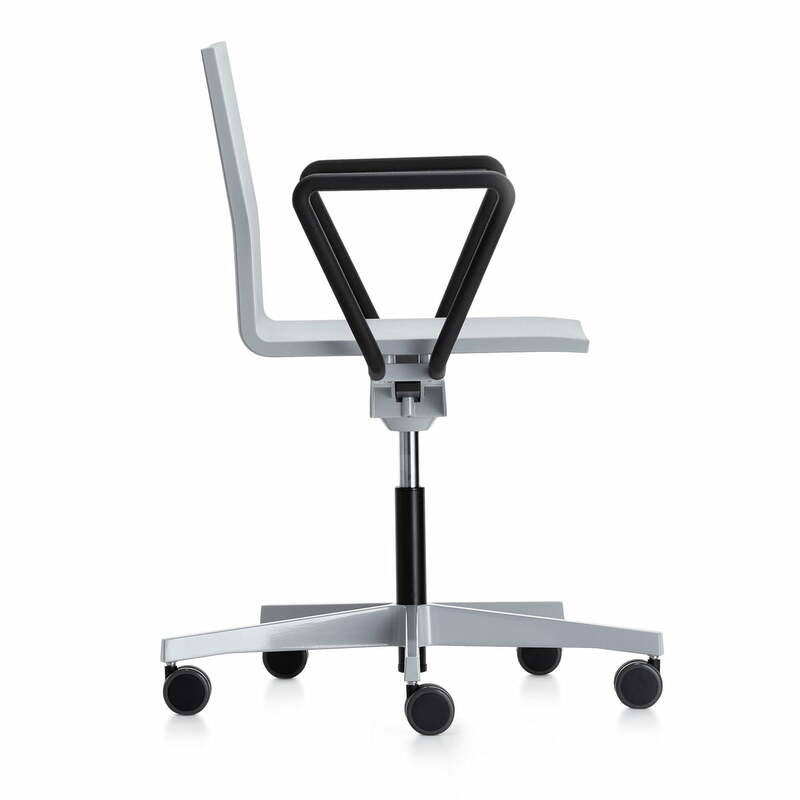 Isolated product image of the Vitra - .04 office swivel chair. The.04 office swivel chair by Vitra is a design by the Belgian designer Maarten Van Severen and is characterised by the combination of simple design and ergonomics. Lifestyle product image of the Vitra - .04 Office Swivel Chair Despite its angular appearance, the integral foam seat shell with an upholstery effect provides comfort which allows you to comfortably work for long periods of time at the desk.